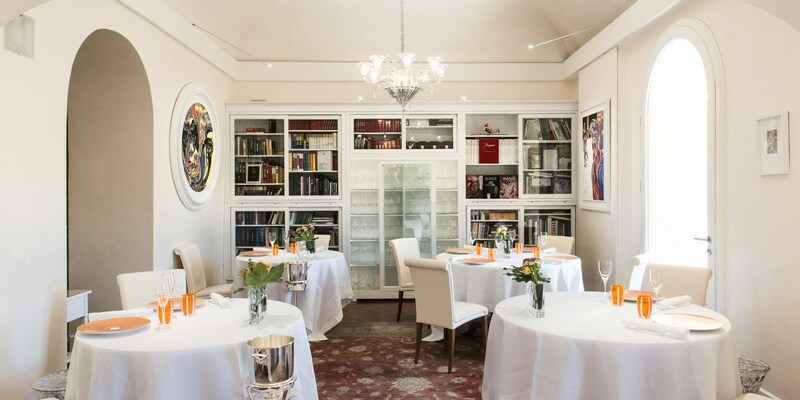 Named after the famous sculptor and architect, Arnolfo di Cambio, who was born in Colle Val D’Elsa in the thirteenth century, restaurant Arnolfo now blends age-old traditions with modern techniques to attract diners from far and wide. 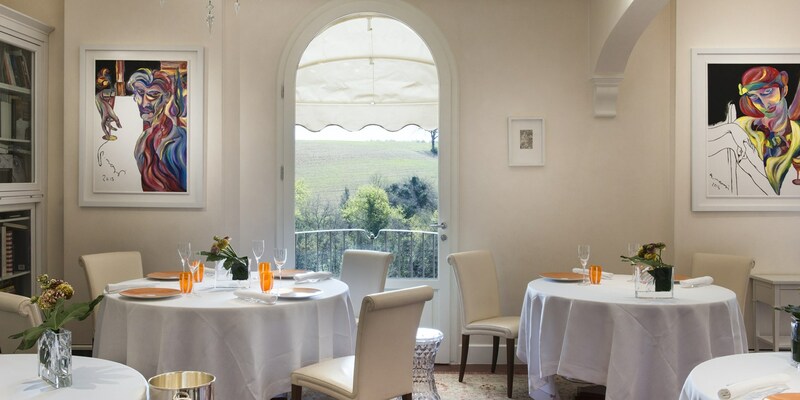 Originally opened in 1982 by Gaetano, the restaurant sits within a fifteenth century palace, offering spectacular views over the Chianti hills, despite being only twenty minutes from the bustling cities of Siena and Florence. The building itself has been lovingly restored, both inside and out, again balancing contemporary touches with the original, historic features – antique furnishings and handcrafted Baccarat chandeliers, with carefully selected pieces of modern art and fine white porcelain. 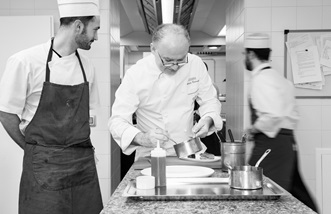 The cuisine served at Arnolfo also demonstrates a number of influences, pulling from both Gaetano’s training within some of the best kitchens across Europe, as well as influences closer to home. Sicilian flavours make an appearance, as this is where the chef was born, while his thirty-odd years in Tuscany have resulted in strong relationships with local suppliers and producers in the vicinity. The latter has helped Gaetano develop a passion for the the ingredients and produce of the region, utilising them – with creative flair – in his cooking. Menu options here are extensive, and trying the seasonal tasting menus is highly recommended. These change regularly and epitomise the artistic nature of the chef; each is named poetically to represent the journey Gaetano wants to take the diner on. During the summer months a menu such as ‘Contemporary moments’ might greet guests with innovative and fresh dishes, whilst in autumn ‘Territory and research’ might focus more on rich game and foraged produce. If eating from the à la carte, expect to find pasta of the day, meat from the surrounding Siena hills, and fresh seafood from the Tyrrhenian coast. To complement the menu, Gaetano relies on his brother, Giovanni, to look after the wine selection. An expert sommelier, he has curated a wine list that features over 600 vintages from Tuscany and beyond, many with personal stories and relationships behind them that sum up the brothers’ passion for the region. Despite over thirty years at the same restaurant, this passion hasn’t dwindled, and both Gaetano and Giovanni always welcome guests as part of the family. 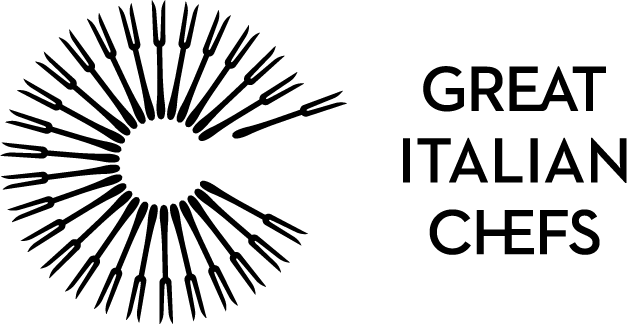 Giovanni has a long-standing relationship with some of the best producers of Chianti and the wine list reflects this specialism with an extensive choice of vintages and limited editions. With insights into the history of each wine-making family, Giovanni is happy to pass on his knowledge of the methods and recipes used. If all these wines prove too tempting, why not stay in the one of the rooms available at the restaurant. Beautifully decorated with Gaetano’s signature artistic touches, there’s also the promise of a wonderful breakfast in the morning. Arnolfo is situated at the top of a hill in the historic town of Colle Val D’Elsa and can be quite hard to find. Watch out for the possible 80 euro fine for driving through the protection measures around the old town (ZTL) – instead, follow the main road to the top of the hill and work your way down the hill to find Arnolfo, or park at the bottom in the old car park and take the lift to the top.